Teflon can be used in a variety of applications having a combination of mechanical, electrical, chemical, temperature and anti-friction properties that are unmatched. 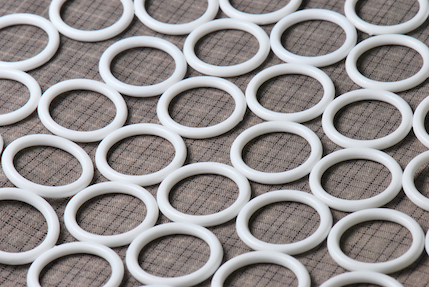 PTFE has a very high melting point and is capable of continued service at 500 ℉ (260 ℃). It is the most chemically resistant plastic available and only a few chemicals react with it. PTFE mechanical properties are low compared to other engineering plastics, but its integrity is maintained over a wide temperature range; from -400°F to 500°F (-240 to 260°C). Mechanical properties can be improved by the addition of fillers such as glass fiber, carbon, graphite, molybdenum disulfide, and bronze. PTFE has excellent thermal and electrical insulation properties along with a low coefficient of friction. It is difficult to bond to PTFE. Values may vary. Please ask your Erie Industrial Plastics representative for more specific information.